0 Comments Published by KL Ocs Kid on Wednesday, June 9, 2010 at 2:42 PM. Kenny Dalglish has told Liverpool he is prepared to make a sensational return as manager as the previous incumbent, Rafael Benítez, agreed to become the new coach of Internazionale last night. Dalglish, who quit the Anfield job in 1991, is currently charged with identifying the club's next manager alongside the managing director, Christian Purslow. The Liverpool legend, however, is willing to enter his own name into that process and believes he can revive the club's fortunes on a limited budget and, crucially, convince Steven Gerrard and Fernando Torres not to leave this summer. Dalglish, 59, has admitted that he regrets quitting as Liverpool manager 19 years ago, when the stresses of dealing with the Hillsborough disaster took their toll, and claimed he would have been ready to return after a brief sabbatical. The Scot's desire for the position may present a problem for Purslow and the Anfield board, who are looking at replacing Benítez with a manager currently in the game. Roy Hodgson emerged as the favourite in the aftermath of the Spaniard's exit last week, although no official approach has been made to Fulham. 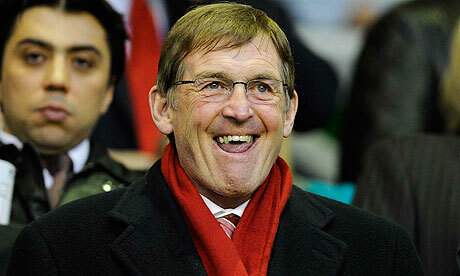 Any appointment of Dalglish, who has not managed since his acrimonious departure from Celtic in 2000, would appease many Liverpool supporters at a turbulent time. With the club lacking the resources to entice many leading names this summer, he could also offer the emotive pull to convince Gerrard to resist overtures from Real Madrid. Dalglish first became Liverpool manager in the days after the Heysel disaster in 1985, when he took over from Joe Fagan. The Scot, who had signed from Celtic as a player for £440,000 in 1977 and won seven league titles, three European Cups and five domestic trophies at Anfield, secured the Double in his first season in charge and during his six-year spell won two more titles and the FA Cup in 1989, following the Hillsborough disaster. He returned to the game with Blackburn in late 1991 and took them from the second tier to become Premier League champions in 1995 and also had a short period at Newcastle, steering them to a second-place finish and the 1998 FA Cup final. While Liverpool ponder this development, the man they parted company with "by mutual consent" last week has completed a dramatic change in fortunes and agreed to coach the European champions. Benítez's unveiling at Internazionale is now a formality, according to the president Massimo Moratti, after he accepted a three-year contract worth in the region of €5m (£4.1m) per season. "We have agreed the final details, which were not important things," Moratti said in a statement on the Inter website last night. "All that is needed now is a counter-signature. Tomorrow we will tell you when he will be presented." Benítez has been on holiday in Sardinia while his Anfield departure was negotiated and soon began talks over his move to San Siro, where he will replace José Mourinho. He is due to sign this week and after hiring Liverpool's first-team coach Mauricio Pellegrino, goalkeeping coach Xavi Valero and fitness coach Paco de Miguel, may also tender a bid for the disillusioned midfielder Javier Mascherano.